The server requires Windows server 2012 / 2016. As this web service is built on .Net Framework Core. The Framework is bundled as part of the installation. The Server must be part of the domain. The Agent (in the desktop) must be x64. I have successfully tested windows 7 and 10, along with server 2012 r2 and server 2016. 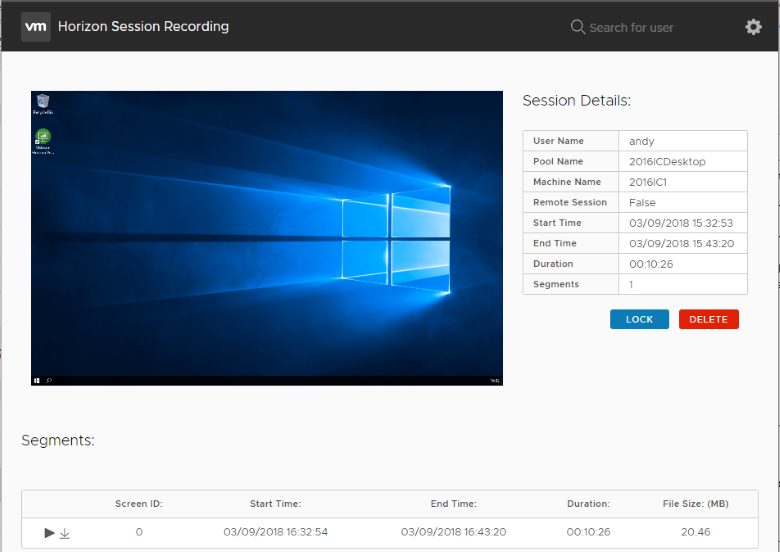 The administrator must have a valid browser to access the recording console. Summary Requirements Instructions Changelog Comments Bugs Please download the instructions VMware Horizon Session Recording Documentation.pdf.